Great to see the Young Liberals of Canada in British Columbia pushing so many progressive policies! Will we be seeing you this Wednesday? *All ages welcome! Makes us proud to be Canadian, welcome home. "The war on science is now over." Congratulations to three outstanding individuals! BC is proud and fortunate to have you all as our Cabinet representatives. The Hon. Jody Wilson-Raybould Minister of Justice & Attorney General of Canada, the Hon. Harjit Sajjan Minister of National Defence, and the Hon. Carla Qualtrough Minister of Sport & Persons with Disabilities. Happy Thanksgiving! Don't forget advanced voting is taking place now through Monday! Justin Trudeau and the Liberal Party are the only party with a real plan for change and according to the polls, the only party positioned to defeat Stephen Harper's Conservatives! Jody Wilson-Raybould is the only experienced candidate positioned to defeat the Conservatives in Vancouver Granville! As a crown prosecutor and former Regional Chief of the Assembly of BC First Nations, Jody will be a strong voice for her constituents and for Canada! After 10 years of Mr. Harper's negative politics, we don't need another Prime Minister with the same cynical style of personal attacks from Mr. Mulcair. If you're at UBC tomorrow, join the UBC Young Liberals at the live debate screening! Hey Young Liberals! We're at UBC Clubs Days all week located on the ground floor of the NEST! Come find your UBC Young Liberals! Vancouver Centre Youth Team Meeting! 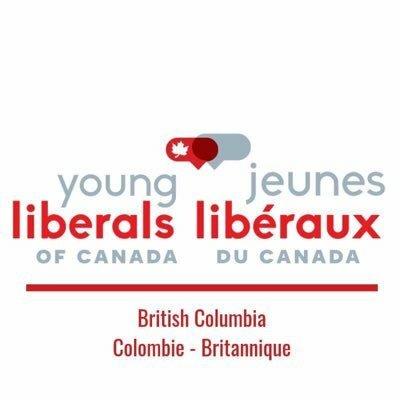 Young Liberals: Paint North Vancouver Red! Mulcair to Trudeau on secession: "What's your number?" Tonight! Join the Liberal Party of Canada in British Columbia and the Young Liberals of Canada in British Columbia as we cheer on Justin Trudeau as he prepares to take on Harper and Mulcair in the National Leaders Debate! To find a debate watch party in your area, check out events.liberal.ca! Join us at this upcoming event! - Joignez-vous à nous pour ce prochain événement! Come out and support one of our most amazing candidates Jody Wilson-Raybould! Reason enough not to pay attention to Stephen Harper's attack ads! Wonderful Wednesday with Team BC and Lawrence MacAuley, M.P. We would like to wish past YLCBC President (and current Liberal Party of Canada in British Columbia President) Braeden Caley a happy birthday! Thanks for always being an advocate for youth rights and a supporter of the Young Liberals! Congratulations on a fantastic World Cup! Thank you to all the participants, you have truly inspired us all! #TeamCanada you have made us proud, and great job to #TeamUSA on their big win!